Hewlett Packard Enterprise outlined new details about its hybrid cloud partnership with Microsoft in an announcement Tuesday, saying it will provide a new hardware product that integrates with the Azure cloud platform and build its software to take advantage of Microsoft's offerings. Companies interested in integrating Microsoft's Azure cloud with HPE's on-premises systems can now purchase the new Hyper-Converged 250 for Microsoft Cloud Platform System Standard, an appliance that brings together HPE ProLiant technology and Microsoft's Azure services. In addition, HPE will enable Azure consumption and services on all of its servers, so that the company's existing customers can easily set up a hybrid cloud deployment using Azure. HPE will also bring more of its application lifecycle management, big data and security software products to Azure as part of the partnership. The company already has its Quality Center and LoadRunner services available through Microsoft's Azure Marketplace, and this deal will see more HPE services available in Microsoft's cloud. On the consulting side of things, HPE plans to certify an additional 5,000 people to be Azure Cloud Architects and provide services to clients of its Global Services consulting arm. At a company level, Microsoft will become part of HPE's Composable Infrastructure Partner Program to work on the integration between System Center and OneView orchestration tools. In turn, HPE will now start selling Azure, Microsoft's Enterprise Mobility Suite and Office 365 to its customers as part of its participation in Microsoft's Cloud Solution Provider program. 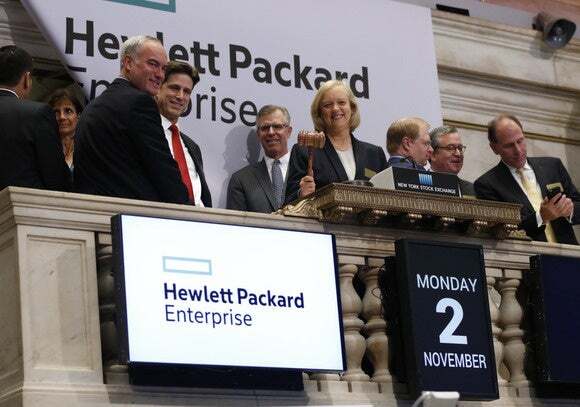 All of this comes after HPE announced earlier this year that it would be retiring its own Helion public cloud on Jan. 31. It's not clear if HPE plans for Azure to be the only cloud platform that it integrates with, or if the company plans to work with Microsoft's competitors like Amazon Web Services and Google Cloud Platform as well. This story has been updated to clarify the state of HPE's Helion portfolio.